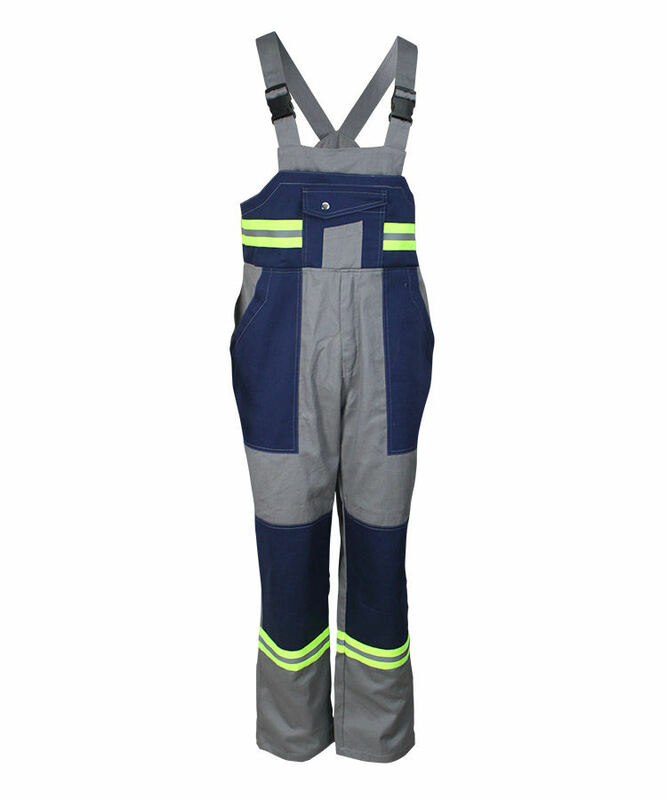 This flame retardant arc proof suspender trousers made of 350gsm cotton flame retardant arc proof fabric, and can meet CAN/CGSB 155.20, GOST 12.4.221-2002, EN ISO 11611, EN 61482-1-2, NFPA2112 and other standards. 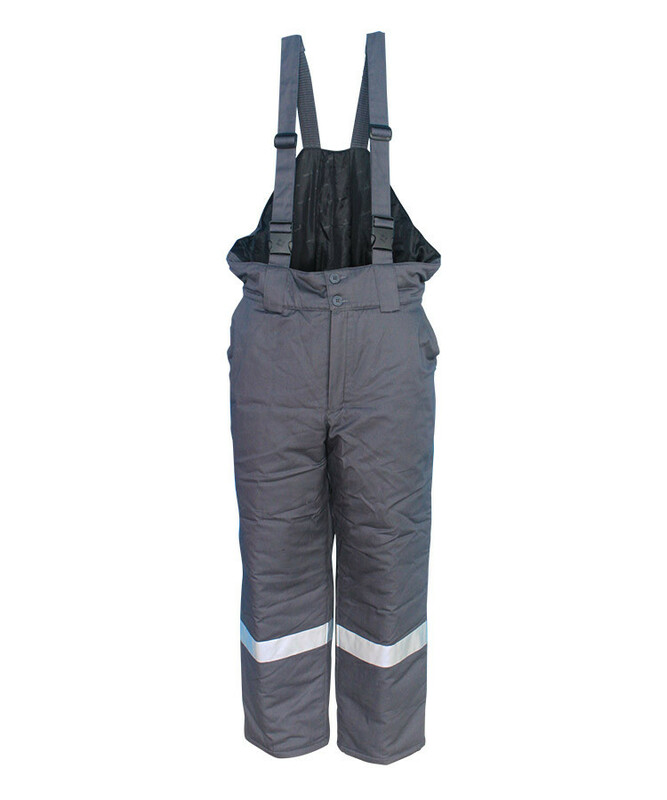 This flame retardant arc proof suspender trousers adopt 100% good quality cotton fiber, and the flame retardant arc proof suspender trousers have good strength, and great FR property, lower formaldehyde content, good strength, easy dyeing and dye bright color, soft touching, comfortable wearing. 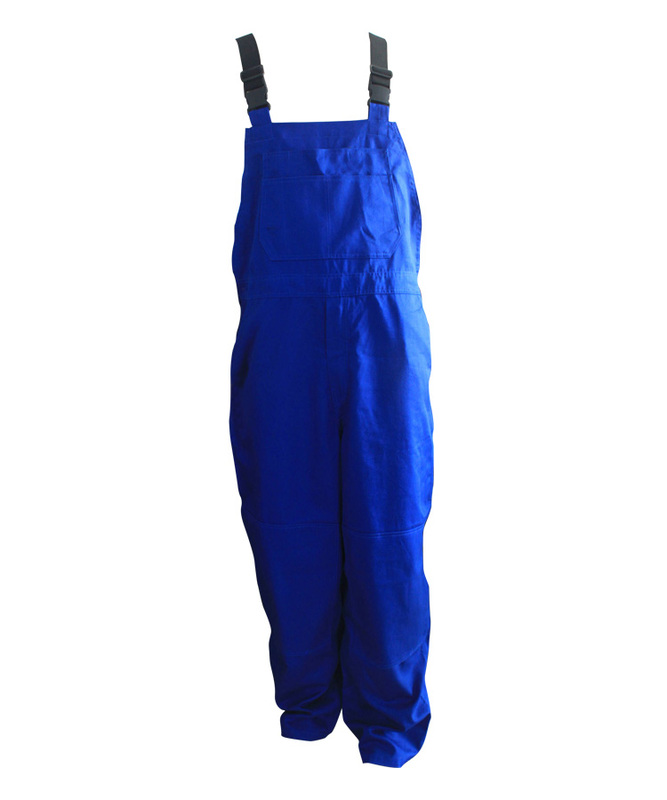 This flame retardant arc proof suspender trousers mainly used in steel making/ sealing/ explosion/ mining/ chemical/ electrics such industrial protection. 3 n 1 patch pocket, velcro closed contrast color three-dimensional pocket, zipper closed slit pocket and pen pocket in front pocket opening, two small tools loops and patches inside the front pocket, patch pocket and flap are closed with the Velcro. Hip pocket with flap, the right flap is contrast color connection, looks very chic. Lower right corner of the right patch pocket there is a 2 in 1 tools pocket and a little contrast color three-dimensional pocket, the pocket is closed with velcro. Bar tack all the force bearing point, increasing the firmness. Add a tool loop on the lower left corner of the left patch pocket , near the loop it is a contrast color slit pocket, the bottom seam of the pocket, there is a 2 in 1 contrast color patch pocket with flap, closure with velvro. Contrast color kneecaps on the front legs, kneecaps lower opening is closed with velcro, the knee pad can be added as person needed. 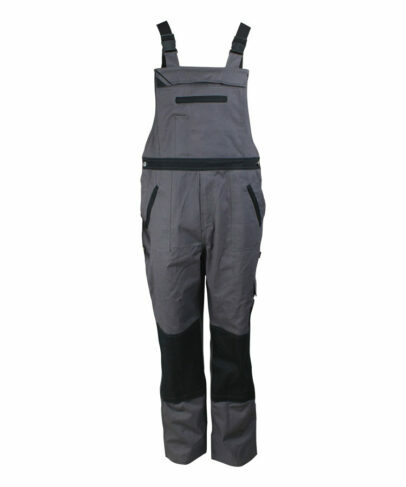 The flame retardant arc proof suspender trousers front pocket opening is closed with metal single closed zipper. The strap is 4cm width twill elastic ribbon, increased the shrinkability of strap. 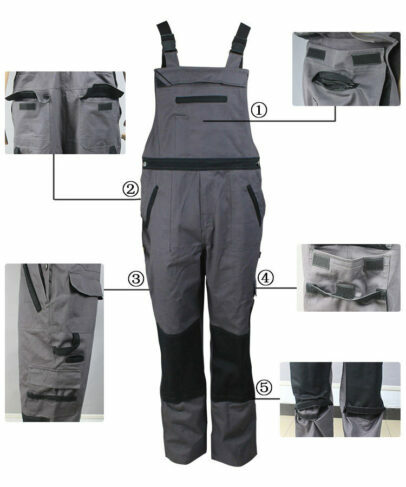 Front pocket opening is connected with strap and strap eye-splice, the length can be adjusted according to the wearer needed, increased the comfort of the wearer. Double interleaving assembly of back pocket opening. Attach the contrast color belt on front waist line joining place, there are elastic tape and tour eys button on the back waist line, which can adjust the waist size. 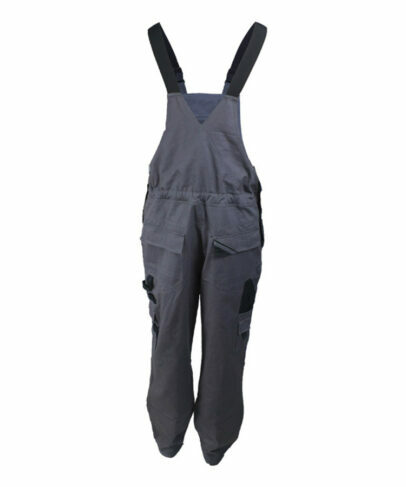 On each side of flame retardant arc proof suspender trousers waist is front opening, closure with jeans button, easy to wear off. 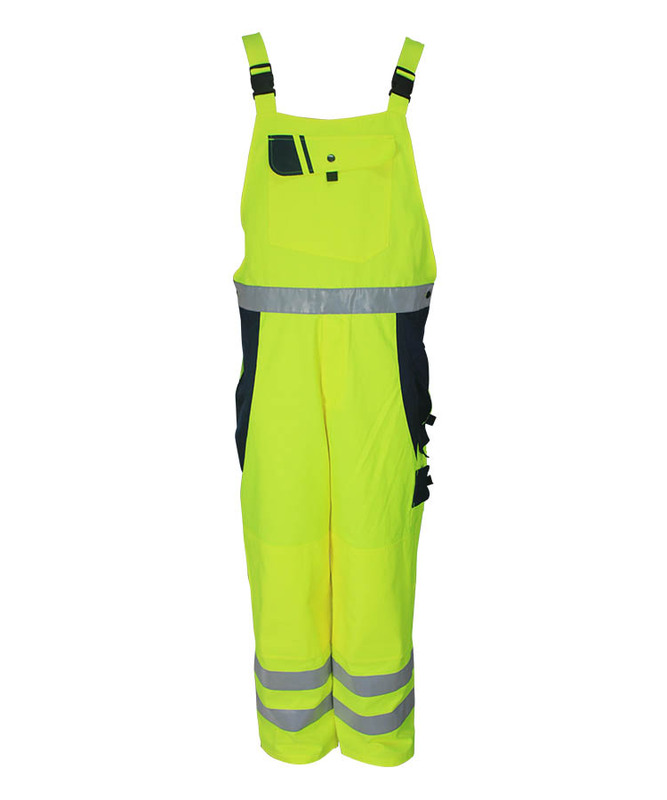 Two slant pockets one two sides of flame retardant arc proof suspender trousers, closure with a pocket zipper on the pocket fabric, to avoid falling the goods at work.